An Anchorage mentorship program meant to get girls into cycling this summer is missing half of its donated bicycles, after five of them were stolen from Steller Secondary School last week. 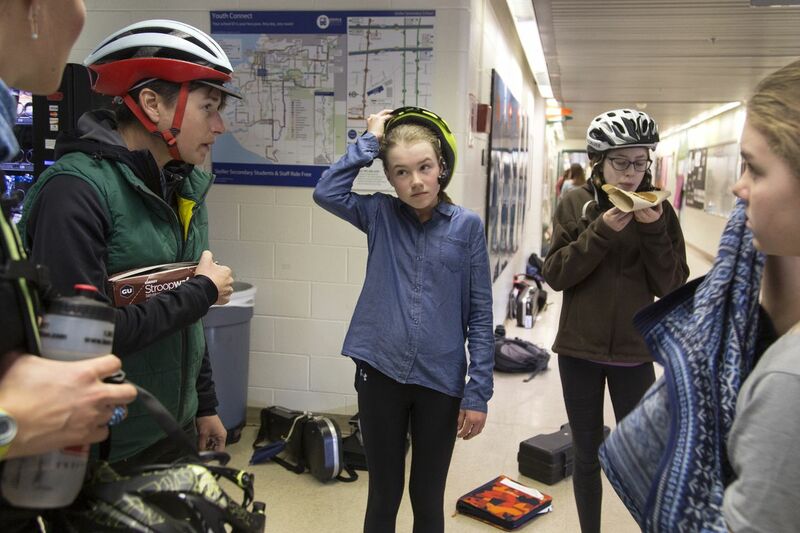 Anchorage long-distance cyclist Lael Wilcox, one of two principal organizers behind Anchorage Girls Riding Into Tomorrow, said the $560 bikes were provided by the manufacturer Specialized and customized by the seventh-grade Steller students — who get to keep them when the program ends. Police spokeswoman Renee Oistad said officers began to investigate the thefts from the school, on Blueberry Road off Fireweed Lane, after they were reported Monday afternoon. 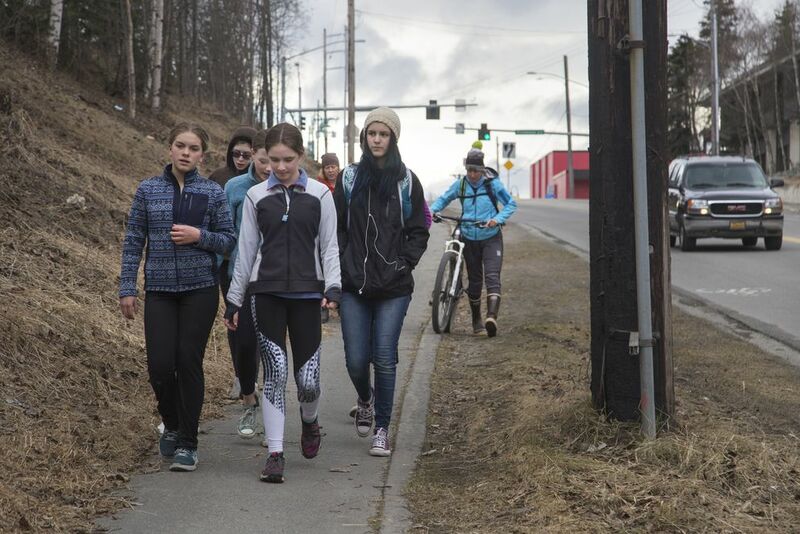 Wilcox and four other organizers have been guiding the Steller girls, along with five others from Begich Middle School, on progressively longer rides throughout Anchorage. Their six-week program was scheduled to culminate with a two-night, 90-mile ride from Anchorage to a cabin on Eklutna Lake and back in late May. But when the Steller girls arrived Monday at the locked mobile band classroom where the bikes were being kept, their planned outing for the day — a bike ride followed by a yoga activity — was cut short. "The girls went inside and the bikes were gone," Wilcox said. 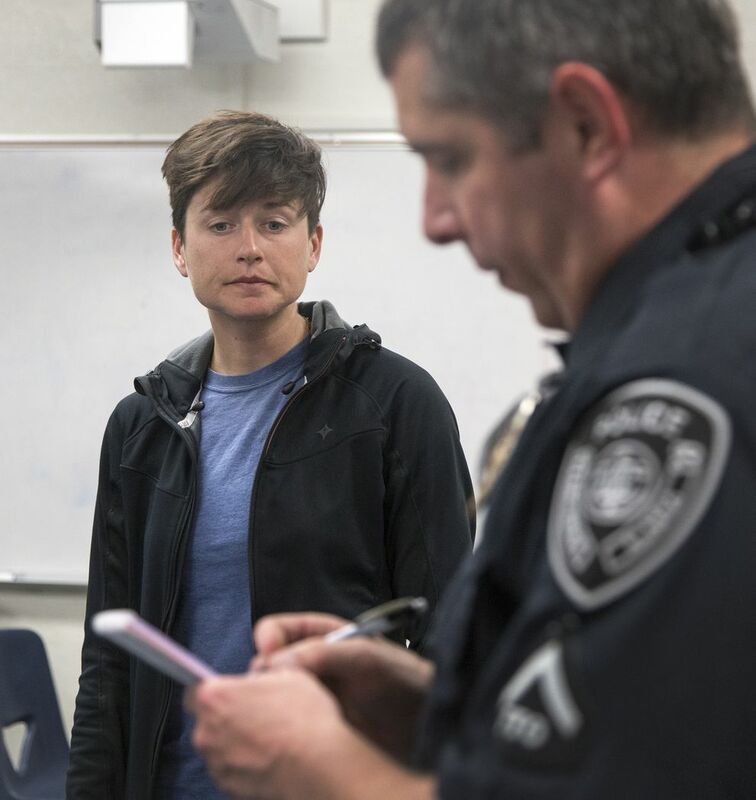 School officials told Wilcox that a review of surveillance video showed someone taking the bikes overnight Wednesday, but they did not describe the suspect to her. Anchorage School District officials deferred to APD for comment on the case, or any details from the video, due to the ongoing investigation. Although the bikes stored at Begich Middle School weren't taken, the program has shifted to nonriding events like a class on basic mountain-biking skills as members take stock and inquire about replacing the stolen bikes. "This kind of thing is not going to stop what we're going to do," Wilcox said. "We're just going to keep moving on." Wilcox, who organized a distribution program last year that gave refurbished bikes to local third-graders, said she's heard more recent reports of bike thefts in the local cycling community, but the loss of the Steller bikes still left her stunned. "The most shocking piece for me is that it was stolen from school property," Wilcox said. "You think this is a safe place to be." Anyone with information on the bike thefts is asked to contact Anchorage police at 907-786-8900, Anchorage Crime Stoppers at 907-561-STOP or its website, or Wilcox at 907-301-7834 or lael.wilcox@gmail.com. Alaska Dispatch News photojournalist Rugile Kaladyte contributed to this report.